Japan is a place I’ve been to before but not to Hiroshima or in a professional capacity. Stepping off the Shinkansen Bullet Train I actually did not know what to expect. Hiroshima was just like any other metropolis in Japan, albeit a slightly smaller scale than some. Coffee shops lined most corners, there was a giant shopping strip spanning several city blocks, and fashionable young people were crowding the streets. As an American, this was an immediately strange experience. I knew that Hiroshima had long since been rebuilt post-WWII, but the conflict between my cognition of the city, history, and my emotional perspective of witnessing it firsthand was an immensely powerful experience. It really set the tone for the whole trip to never take anything for granted. I’ll be the first to admit: it was a challenge getting into the swing of things. The first keynote, by Nobu, a Ruby Core committer known as “The Patch Monster,” was a highly technical talk that mostly focused on C, the language that Ruby is built on top of. I definitely wasn’t prepared for his walkthrough of a “simple” bug fix, but I suppose when one of the creators of the Ruby language talks about Ruby, he talks about creating it. I had a decision to make: I could either cower from these alien topics and write off the conference as a simple networking event, or I could dive headfirst into it; checking out anything that seemed interesting. I could research on my own to supplement my own gaps in knowledge. I chose the latter and I’m extremely glad I did. The talks ranged in topic and technicality: From an in-depth discussion of API construction in 2017 to Matz’s keynote (the original creator of Ruby) on the versatile Ruby Module to machine learning, to various improvements in store for Ruby 3x3. There were, of course, times where I didn’t quite follow or got confused; software engineering is such a broad field that even in a conference centered on one programming language no single person could understand every talk. But I could feel the speaker’s passion for their chosen topics, and it only made me more excited to broaden my own perspectives and seek out more information on my own. In all, RubyKaigi was a fantastic learning experience for me, and Hiroshima was the perfect backdrop for it. It was not only a supremely impactful feeling to travel there but one that gave me a deep sense of humility and perspective. The people of Hiroshima are some of the kindest and most joyful I have ever seen. Days after arriving in the Japan, the home baseball team, the Hiroshima Carp, won the Japanese Central League Conference Championship, and cries of “VICTORY” and “GO CARP” were heard throughout the conference. Hiroshima’s dedication to peace and nuclear disarmament proves that although it’s a city that has not forgotten its past, it’s one that looks brightly towards a better future. As a programmer, I have a much deeper appreciation for the work my primary backend colleagues do. I am eager to pursue similar work in the future. As an American, I’ve learned a deep respect for a people we so adversely affected around 70 years ago, and my hope for humanity has blossomed seeing them face to face. As a karaoke singer, I was one-upped by another man named Sean, but my poor singing was still proudly put on display. 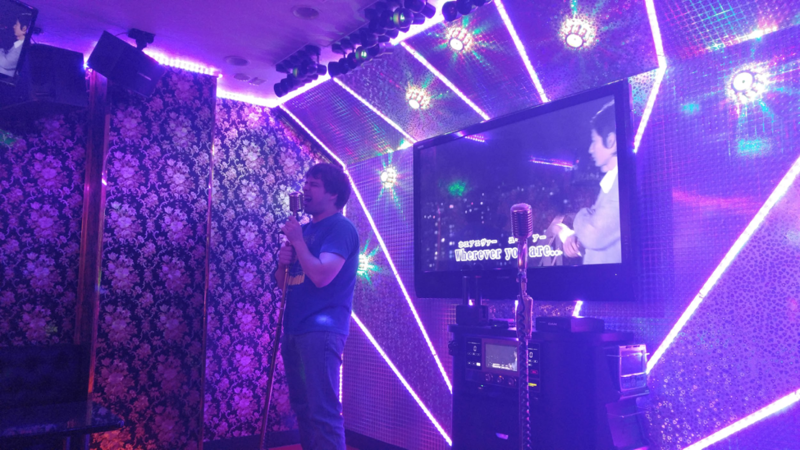 This dude was absolutely nailing JPOP songs, seriously. Comfort has never been something I liked. I don’t mean in the physical sense; I love a nice mattress or a soft chair as much as anyone else. But in the sense of personal development, I’ve long felt that comfort is my enemy. If I get comfortable, whether in my job, in my travels, or anything else, I feel as if something is wrong. Comfortability means I’m not challenging myself. If I’m not trying to make myself a better, I’m not growing. 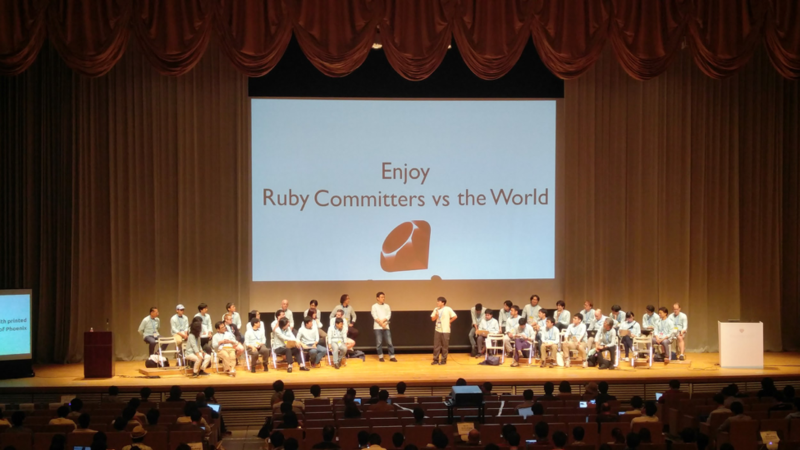 That’s why I chose to go to RubyKaigi this year: the thought of it made me uncomfortable in the best way possible. It was about a language I had only surface knowledge of in a city that I had preconceived notions about. I knew that by making this trip I would be challenging not only my knowledge of programming but my knowledge of the world. And to anyone reading this: I challenge you to make yourselves uncomfortable, for it is only in those situations of discomfort that we can broaden our perspectives and grow as people. I want to thank CoverHound for this amazing opportunity. With such a generous education budget, I was able to learn more about the advancements in my field and apply it in my everyday work!